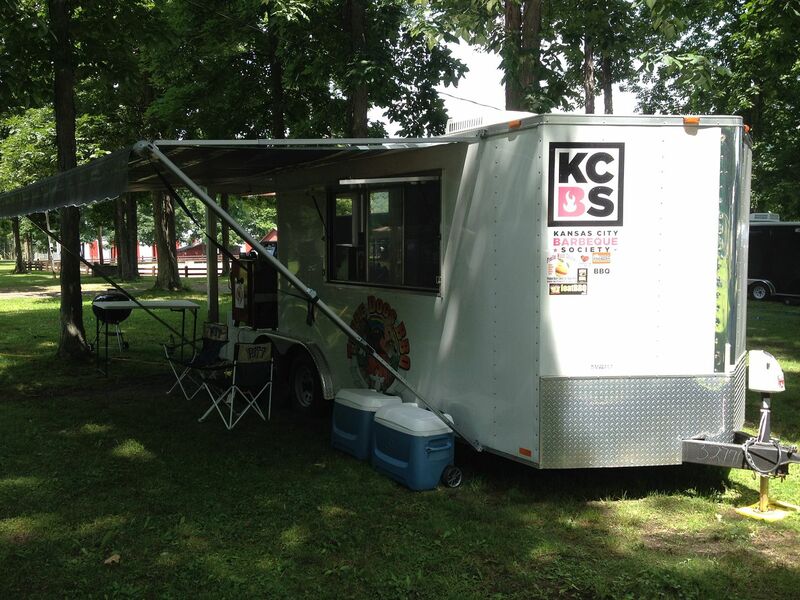 This past weekend, the Three Dogs BBQ road show packed up and headed to Pittsfield, PA for The All American BBQ Festival. 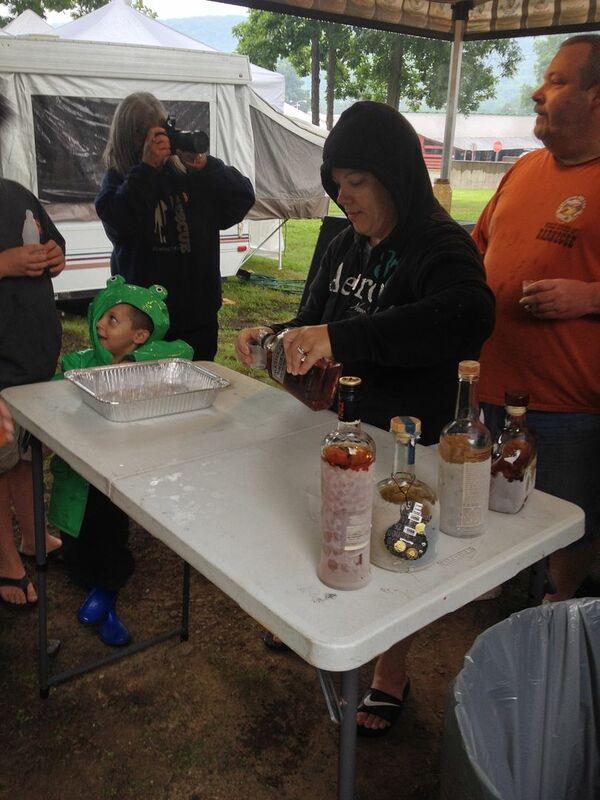 Here is a recap of the weekend. We really liked the venue. Shaded lots, dedicated electric and water, and lots of room to spread out. A great venue for a competition if you ask me. 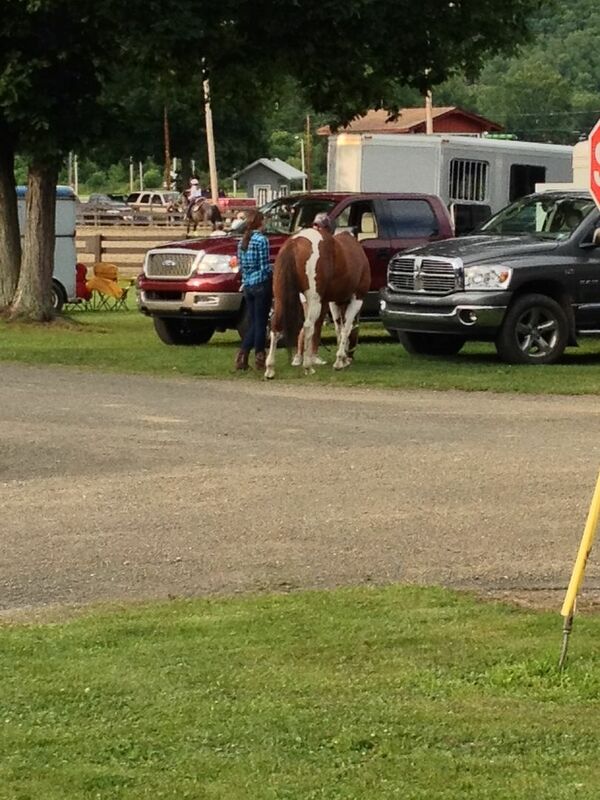 Unfortunately, there was a 4H horse competition tied to the event as well. I had to keep a short leash on Hope so that things would get done around the trailer. Preparation went smoothly. Since Pittsfield is only about two hours away, we were done early in the afternoon and had some time to mingle with our friends. After the outstanding potluck that was organized by Melissa and John (Rikk, that Mac and Cheese rocks. You need to turn that in sometime! 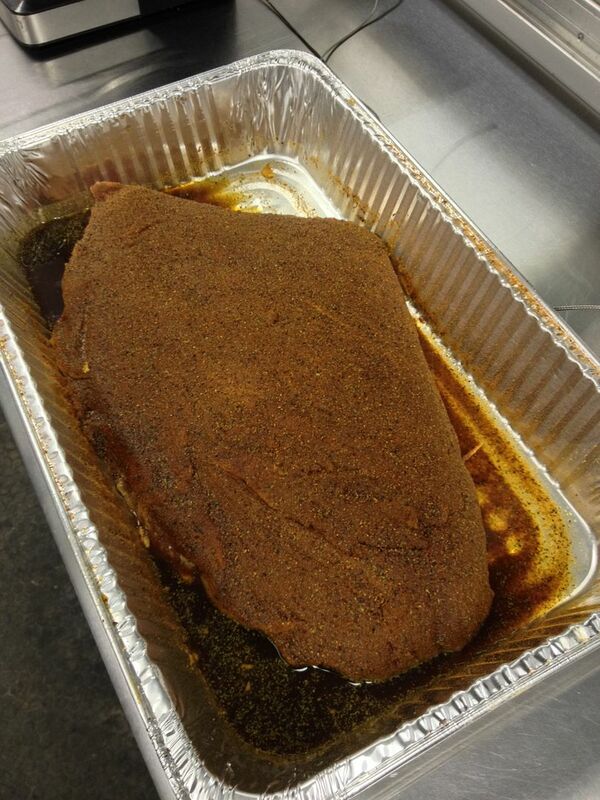 ), we fired up the smokers and got down to cooking. It was a great evening up until about 3 am. The first drops of rain started to fall at that point. From then on, the rain kept getting heavier and steadier, resulting in some muddy conditions. 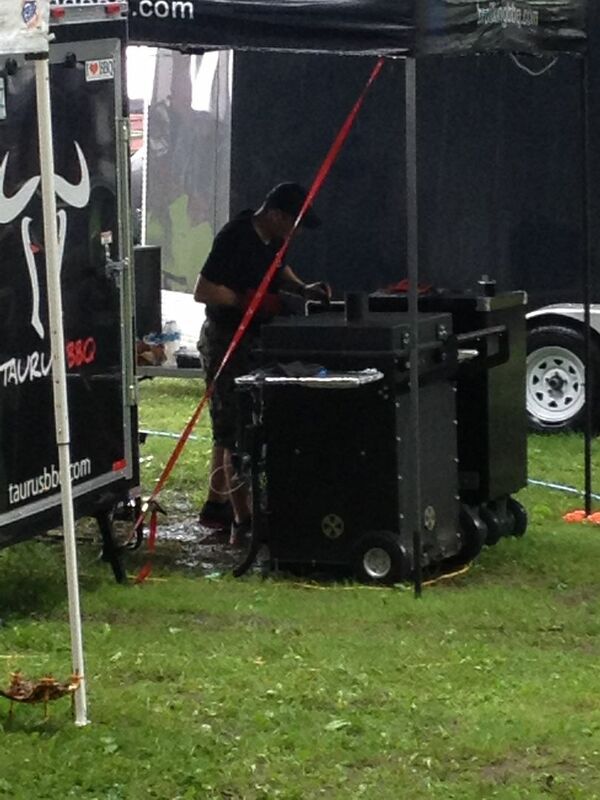 Just look at this action photo of Che saucing his ribs in the mud. Walking to the turn in tent was an exercise in not slipping with your box. The situation brightened a bit with the 10 am shot. 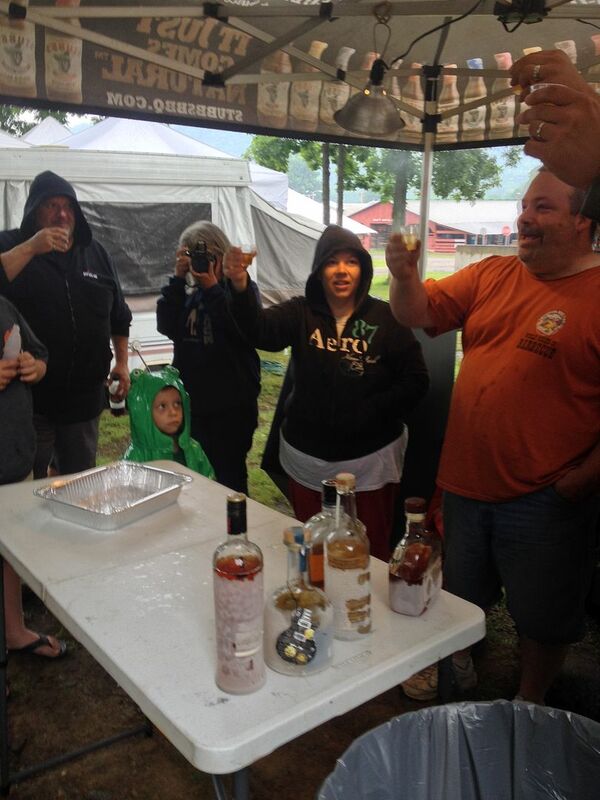 Thanks to Red Valley and Pig Iron BBQ for organizing. This was definitely needed on this cold and rainy morning. So, after our liquid pep rally, onto the scores. First up, chicken. Our ribs came in 17th place. We received four good scores and two sets of scores that did not match with the other four. But, I can understand. They were a bit underdone. I have found that spares can tend to not be uniform in meatiness. This leads to over done and under done racks. 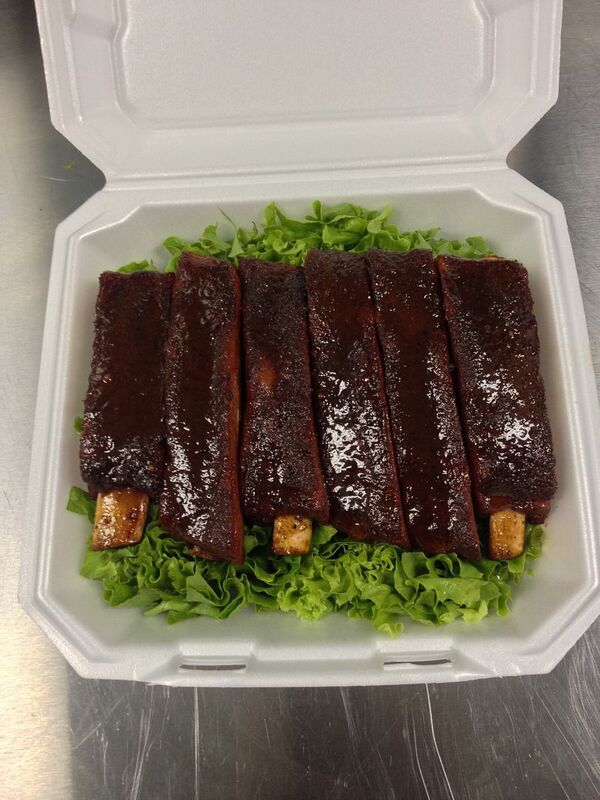 We are seriously thinking about a switch to baby backs for our next competition. They tend to be a bit more uniform. Our pork came in 19th. I have no idea what went wrong. It was perhaps a bit over sauced. We will have to work on this a bit before our next competition. But, upon slicing, the flat was overdone. Therefore, the thick slices. The burnt ends were spot on. 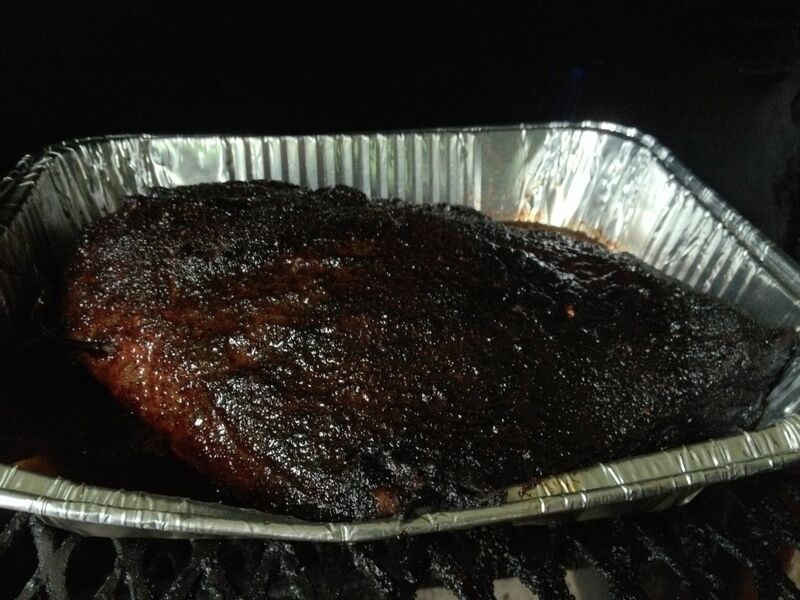 The brisket was way over done. Just need to keep an eye on cook times the next time around. 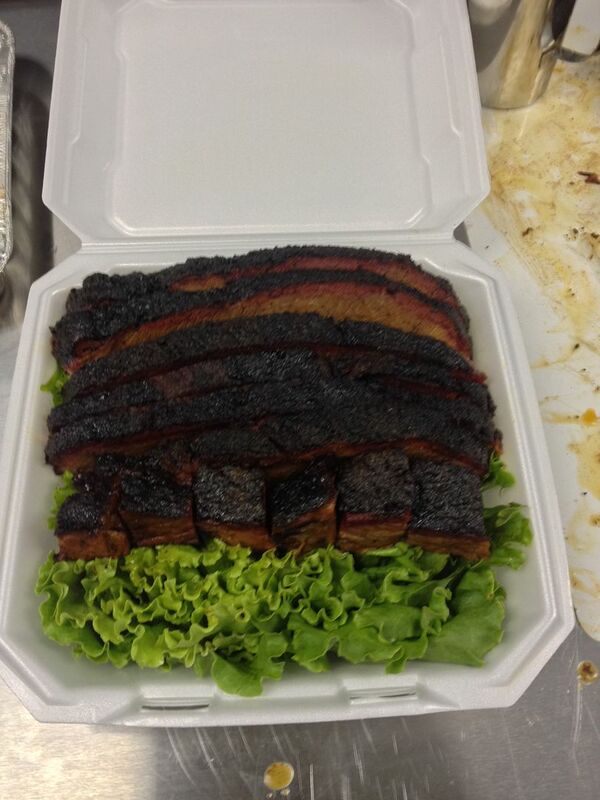 This brisket came in 20th overall. When you tally everything up, we ended up 18th out of 21 teams. 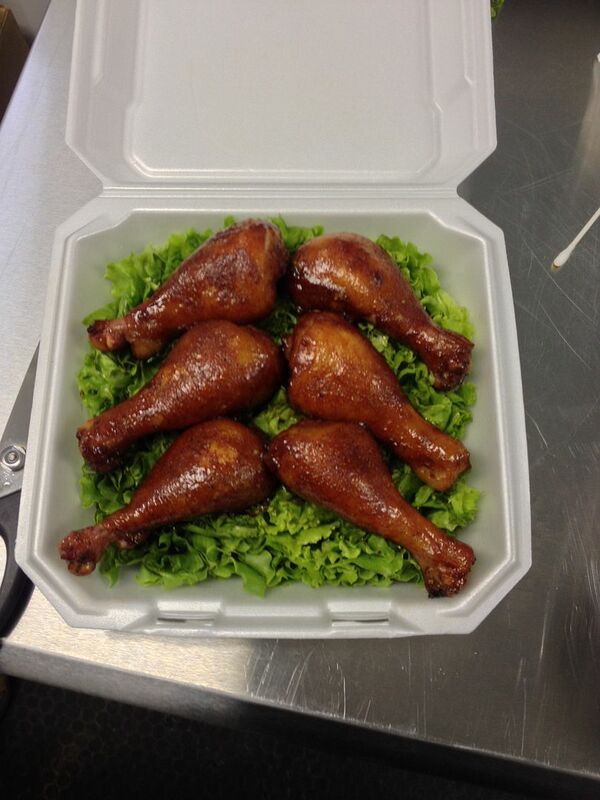 A great way to waste a good chicken score. But, as always, we had a great weekend and met new friends. Mort's Meat Mafia were our neighbors and first time competitors. They were great to be around and finished 13th for the weekend. Great showing for your first time out. Keep it up! Thanks also go out to Melissa and John for organizing a great event, especially a great pot luck and ice cream after turn ins. 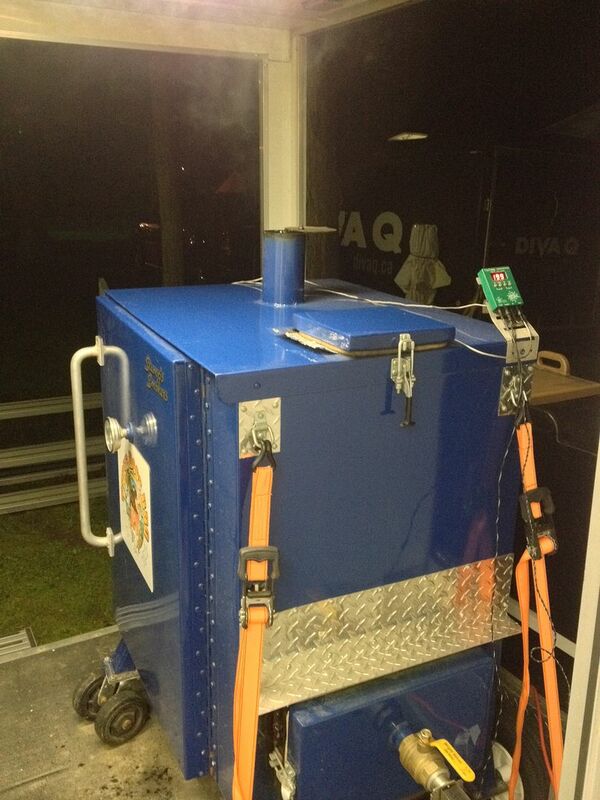 Congrats also go out to Low and Slo BBQ on their Grand Championship and to Red Valley BBQ on their RGC. Sean from Red Valley said it was the best brisket they have ever cooked, so Red Valley BBQ also walked with a 1st place brisket. Very nice. 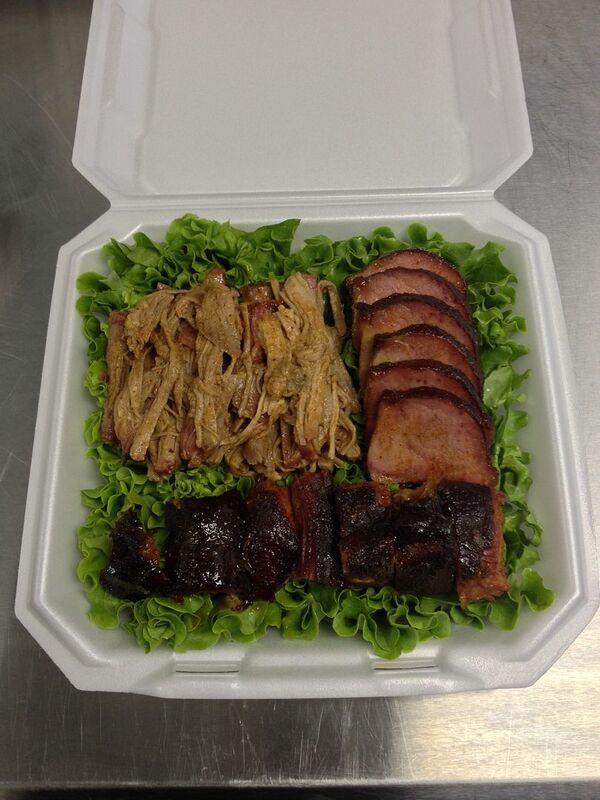 Finally, Pig Iron BBQ gets a call out for a great showing. Their best score ever if I am remembering correctly. A great job from one of the friendliest teams out there. So, next up, Hudson Valley in August. It is a long trip to New Paltz. But, well worth the drive. We can't wait. I think you pork turn in looks great. Are you parting out the shoulder now with the new rules? Yes we are Chilebrown. Trying to get the cook temp right. Any suggestions?